Bowling is alive and well, with millions of people around the world heading to the lanes each year for fun with the family or with friends. 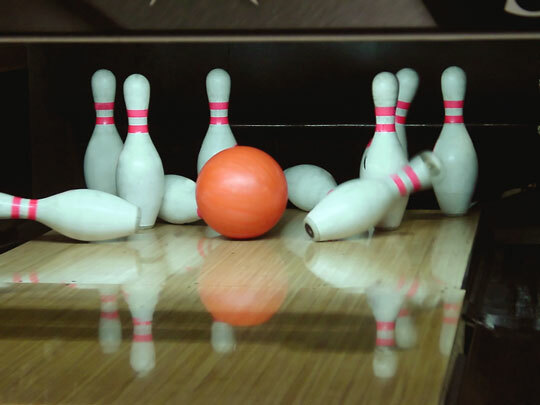 Competitive bowling is also still popular, and teams continue to practice weekly at the local alley for the big match against other skilled bowlers. Those who take the sport seriously and those who run the lanes need good equipment. Are you in the market for a great bowling ball for yourself or someone you love? When picking the right ball, be sure to choose a weight appropriate to the owner. If the ball is for you, test different densities before making a selection, and remember that finger holes can be drilled to specific depths and diameters to accommodate your own hands. Also keep in mind the kinds of lanes you'll play on often. Some ball finishes are better suited for oily lanes than others. You can always rent bowling shoes when you get to the lanes, but they are not always comfortable. Even worse, sometimes the soles don't have the right amount of traction to keep you feeling balanced and on target. Left-handed bowlers almost always need shoes, simply because they are going to deliver the ball from the opposite side. Several manufacturers, like Dexter and Etonic, carry these custom shoes, and you can always find other great pairs available. California-based bowling pro shop offers a great selection of bowling balls, bags, shoes and accessories. This online bowling store features bowling balls and footwear from leading manufacturers plus bowling supplies and accessories at discount prices.